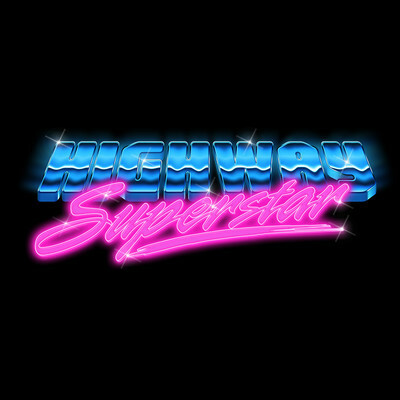 We posted one of Highway Superstar's latest tracks a few months ago! "Chase" was an instant classic for us! We absolutely had to find out more about the elusive "Highway Superstar", so we got in touch with him and asked him a few questions! Check it out! 1) How did Highway Superstar begin? I've been a musician for all my life, playing in bands, recording music, always fascinated by eighties and the retro vibe, but it was only last year when I felt like I had a clear direction of a project I wanted to push forward wholeheartedly. 2) What would your top 3 musical influences of all time be? 80s pop, AOR and heavy metal. 3) All time favorite song? 4) If you could change one thing in the world, anything at all, what would it be? 5) All time favorite fast food restaurant? 6) Any new EPs, albums, or singles coming out soon? There's a new song coming out these days, plus - getting geared up for a single and an album release in the near future. 7) All time favorite horror movie? 8) Advice for newer artists? It's not about hardware, or software. It's about music. Don't settle for just producing for the sake of production. The musical arsenal is just as important as your production chops. 9)Where do you see yourself in 5 years? As long as I'm still making music that I enjoy and people enjoy listening to, I'll be happy wherever I may be.